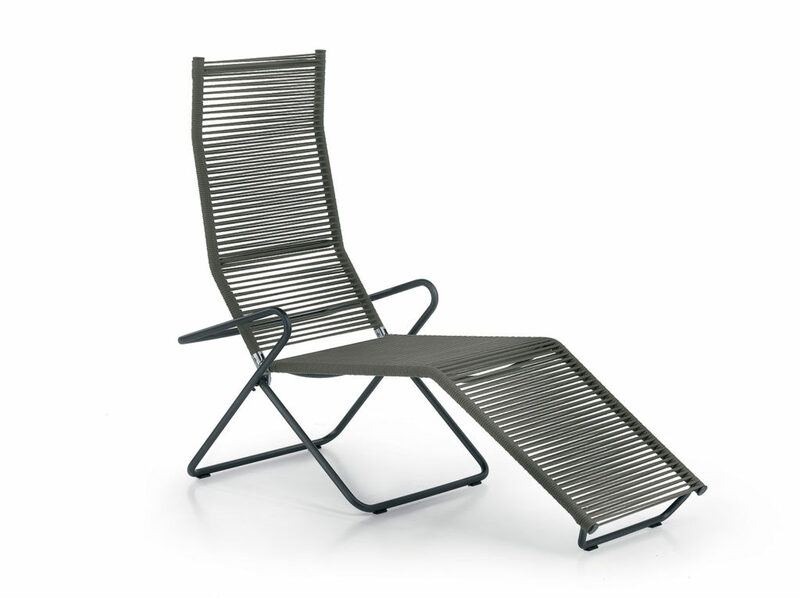 The HARP seat collection is enriched with a new proposition for outdoor relaxation: the reclining lounge chair. Lightness is the key word. The steel silhouette of the structure, simple, lightweight and seamless, gives a particular fluidity to shape; a rope string frame creates a horizontal and precise line playing that run to draw the backrest and the seat. The ropes, wrapped by hand on the structure metal tubular, rhythmically rush from one point to the other, giving body to the seat. HARP is reclining in a read position or in a fully extended version. The reclining chair can be closed to be restored when not in use.